The laser is an important invention in the field of medicine, with many applications, both complex and simple. Most people are familiar with the use of lasers only in eye care, tattoo removal, and hair removal. 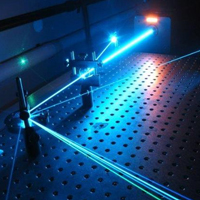 Low Level lasers, also known as cold lasers, were first discovered in the late 1960s, when a researcher at a Hungarian university studied the effects of laser light on cancer. Initially low level lasers were used for assistance in surgical procedures, but more recently it has been discovered that cold lasers can be used in place of hot lasers all together. There is also evidence that it is effective in dentistry, wound healing, and relieving back pain. The most exciting application of cold lasers is in liposuction. Laser liposuction is increasing in popularity and may eventually become the standard, replacing traditional surgical liposuction altogether. Laser liposuction is much safer than traditional liposuction since the patient is not cut open at all. Additionally, there is no recovery time associated with laser liposuction, so patients will be able to go back to their daily routine immediately. Laser liposuction does not interrupt the patient’s life like surgical liposuction does. The procedure is quick and painless: the patient simply lies down on one side for twenty minutes while the laser is emitted on them, then turns over and does the same on their other side for another twenty minutes. Several of these sessions are spread out over a couple of weeks. The laser travels through the body, puncturing fat cells, and causing them to leak out the fatty contents, which are expelled through normal bodily functions.